One of the many hats that I wore at [Previous Job] was VDI Administrator for a 200-seat VMware View deployment. That deployment, initially built by a consultant, started with View 4.6. I had updated it to View 5.1 and was planning another update to View 5.3 when I left. I no longer work with Horizon View on a daily basis, but I run it in my home lab and am a VDI hobbyist. 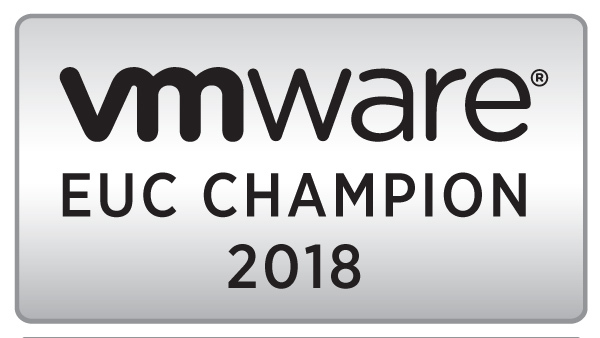 The announcement of Horizon View 5.3 at VMware Europe in October was somewhat shocking. Horizon View 5.2 had been released about seven months earlier in March 2013 and added a number of new features such as Unity Touch for mobile devices, HTML5 access to desktops, and support for larger clusters and multiple VLANs. Horizon View 5.3 hit General Availability on November 21st, 2013, and it improved on Horizon View 5.2. There have been few major changes from Horizon View 5.2, but the documentation from 5.2 is still valid for 5.3. Unless Microsoft changes their licensing model yet again, one of the additions to Horizon View 5.3 could make 2014 the mythical “Year of VDI” more likely. OK…maybe that’s a little hyperbolic, but between official support for VDI desktops running Windows Server and the number of new entries into the Desktop As A Service market, I’d like to think that there will be an uptick in VDI adoption. If time allows, I will look at the Real-Time Audio/Video component, Persona Management, and other components of Horizon View. You’ll notice that I don’t cover setting up a vSphere Environment as part of this series. Both ESXi and vCenter Server are required for Horizon View, and the best walkthrough for setting up a vSphere 5.5 environment is Derek Seaman’s 19+ part blog series. I’ve linked to Derek in the past because he has some well researched and seriously good content.